Welcome to Germantown's newest maintenance free community!!! 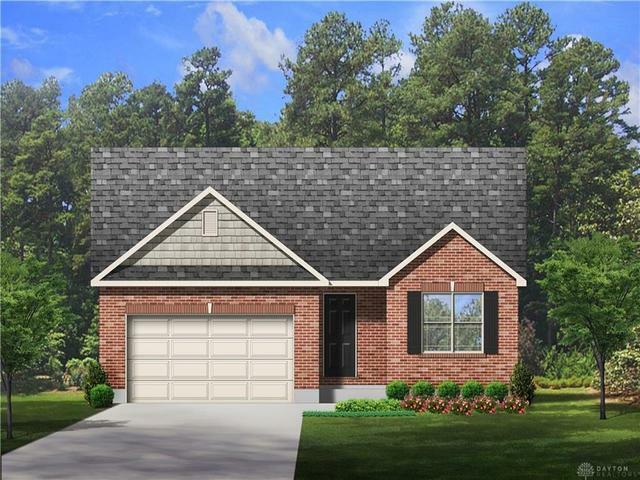 Built by Associate Construction, this ranch style home features 1300 sq. ft. of living space with 3 bedrooms, 2 baths, and an unfinished basement. Open kitchen and great room with cathedral ceilings. Stained Maple Cabinets and Laminate Countertops with 7 Ft. island in kitchen. Luxury vinyl plank flooring in kitchen, nook, entry, hallways, bathrooms, and laundry room. Master bedroom with cathedral ceiling, walk-in closet and master bath. 12 x 12 concrete patio. Valley View School District. $100/month HOA fee covers snow removal, landscaping, lawn mowing, edging, trimming, blowing, weed pulling of shrub beds, fertilizer weed control, insect control, and yearly mulching. Other plans available. Estimated JUNE 2019 COMPLETION. Route 4 to Weaver Road to L on Redbud.